After a series of fantastic pelagic trips out of New England last year, I was eager to try my hand at some west coast pelagics. So I traveled up to Westport, Washington in September and went out on a couple of pelagic trips. The results were less than spectacular, but I did at least get photos of a few new species for my files. 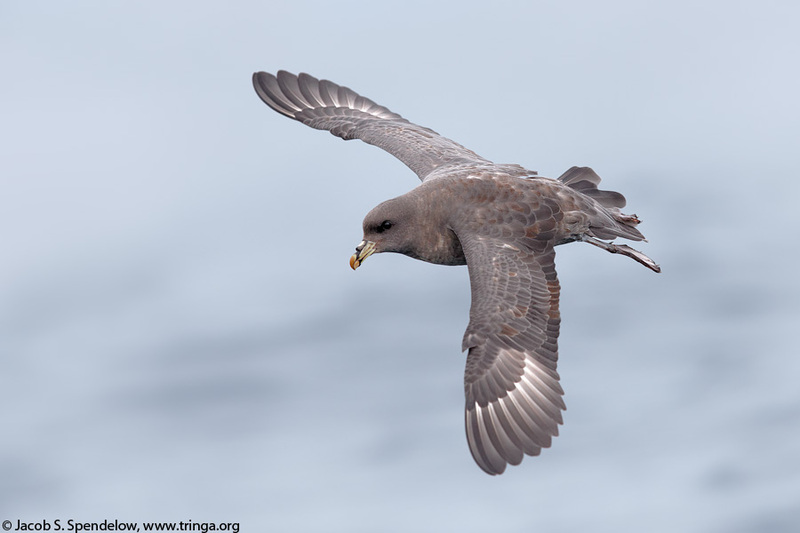 Pelagic photography has a number of inherent challenges, with the obvious difficulty of photographing fast moving birds from a rocking boat, but the biggest challenge I face on most pelagics is that the trips are set up for birding, and not for bird photography. Though we get to see lots of good birds on these trips, the sightings are often distant and in poor light. These distant looks may be satisfying for the birders on board (who make up most of the clientele), but for those of us who want good photos, it can be a frustrating experience. But dedicated photo pelagics are difficult to arrange, so these commercial birding pelagics are the only option in most places. Two color morphs of Northern Fulmar can be found off the west coast. Most birds we saw were of the dark morph, such as this one, but a few light morph birds were present as well. Despite the difficulties, I got a reasonably good set of photos on the first of my two pelagic trips, with some close passes by the common species under light overcast skies that kept the light from getting too harsh. The second day was a complete bust for my camera, with sunny skies and harsh light. We didn't get out to any good pelagic birds until the sun was already too high in the sky for my taste. But I always enjoy being out on the open seas, even when the photography is no good, and I did get to see a lot of cool birds, so I shouldn't complain. Anyway, I'm glad to now have photos of some of the common west coast pelagic species, but I hope I can improve on these photos before too much longer. Way back in 2011 I took my first trip to Alaska, and what a trip it was. Over the course of nearly a month I visited some of the most beautiful and fascinating areas in the state, and at the end of that trip I went home with a collection of images that I treasure to this day. Alaska is a huge and diverse state, and though I got to visit some of the best areas for birds and photography in 2011, there were still many more parts of Alaska I wanted to visit and birds I wanted to photograph. Immediately upon my return home I started making plans for another Alaska trip the next summer, but I ended up not making it in 2012 due to work commitments. Plans for a trip in 2013 were similarly deferred, and this pattern continued year after year until this summer. I never dreamed that it would take six years to make it back to Alaska, but I guess life doesn't always go according to plan! The wait was long, but it was certainly worth it, because my trip to Alaska this summer was one of my best photo trips ever. I spent a little over two weeks in Alaska, with most of that time on the spectacular Seward Peninsula, as well as a few days on the Denali Highway and the Anchorage area. 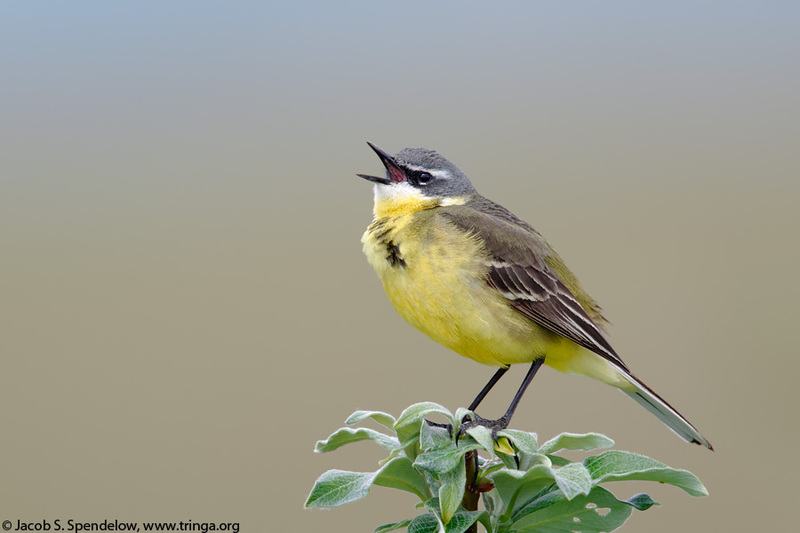 An Eastern Yellow Wagtail sings from atop a willow on Alaska's Seward Peninsula. I started my Alaska trip in the old gold rush town of Nome on the Seward Peninsula, which still has something of a Wild West feel to it. Situated on the west coast of Alaska, the Seward Peninsula is closer to Siberia than it is to Anchorage, and bird checklists for the area reflect this Siberian influence. Though there are several other accessible villages in western Alaska with similar avifauna, almost all birding visitors go to Nome because of the extensive road network that leads out of town, with approximately 200 miles of good gravel roads. These roads allow access to all the varied habitats of the Seward Peninsula, ranging from coastal and estuarine areas at the mouth of the Nome River to tundra and boreal forest habitats. 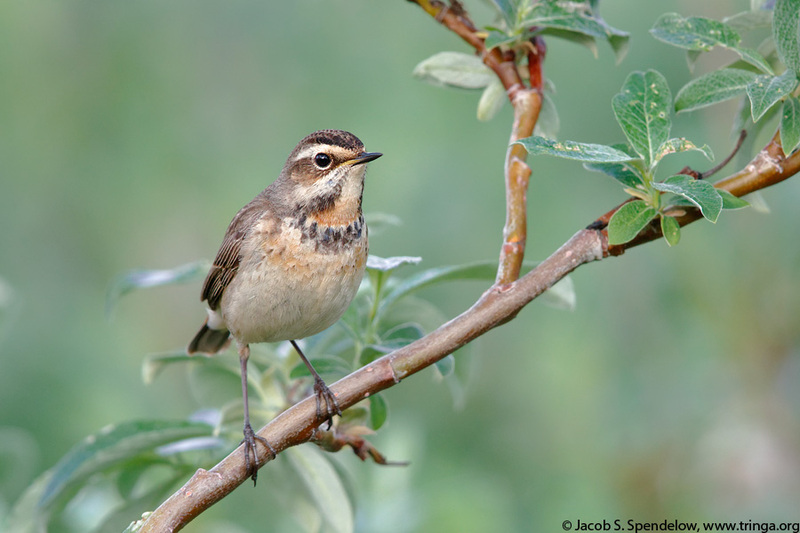 The tundra habitat near Nome shares some similarities to the tundra areas I've visited on previous trips to Barrow and the Denali Highway, but the presence of primarily Siberian species such as Bluethroat and Eastern Yellow Wagtail gives it a different feeling. In contrast, the boreal forests of the area don't offer much that can't be found just as easily at more accessible locations in the Alaska Interior. Therefore, I spent most of my time on the tundra, photographing a variety of nesting waterbirds, shorebirds, songbirds, and others. Though I was mostly traveling solo on this trip, I enjoyed meeting up with friends Greg Schneider and Luis Villablanca for a few days of photography, and am thankful to them for sharing some great photo opportunities with me. 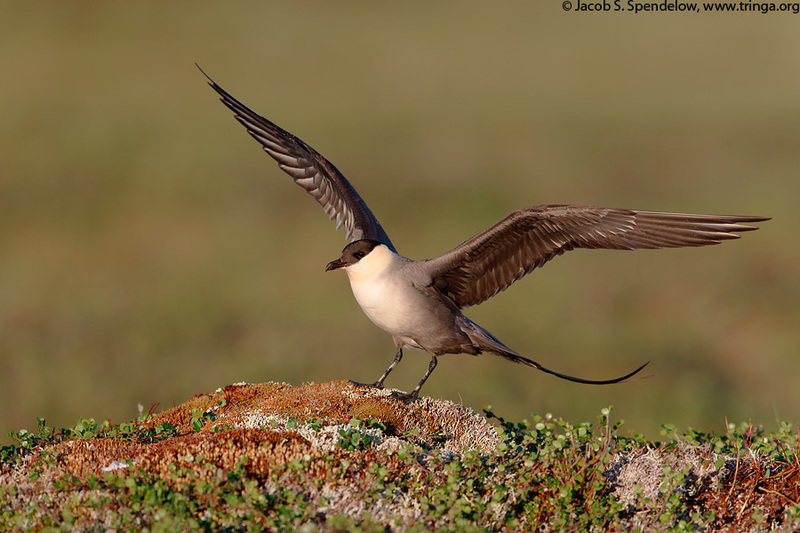 A Long-tailed Jaeger alights atop a tundra mound. I quickly settled into a routine of spending early mornings photographing on the tundra until the good light passed, then spending late mornings scouting for future photo ops, followed by a mid-day nap. After some more scouting in the early evening, I'd usually photograph until a little after midnight before taking another brief nap. Since the sun was only below the horizon for about three hours, and I usually spent part of that time driving to my next location, I ended up sleeping more during the day than at night. I enjoyed beautiful sunny weather for much of my trip and pleasantly cool temperatures that kept the mosquitoes down most of the time. I tend to plan meticulously for big photo trips, making lists of possible bird species and scouring the internet and various bird-finding guides for recommendations on where to find each species. Adding new species to my catalog is always a high priority, so I had a ranked list of potential new species ranging from "very likely" (e.g. 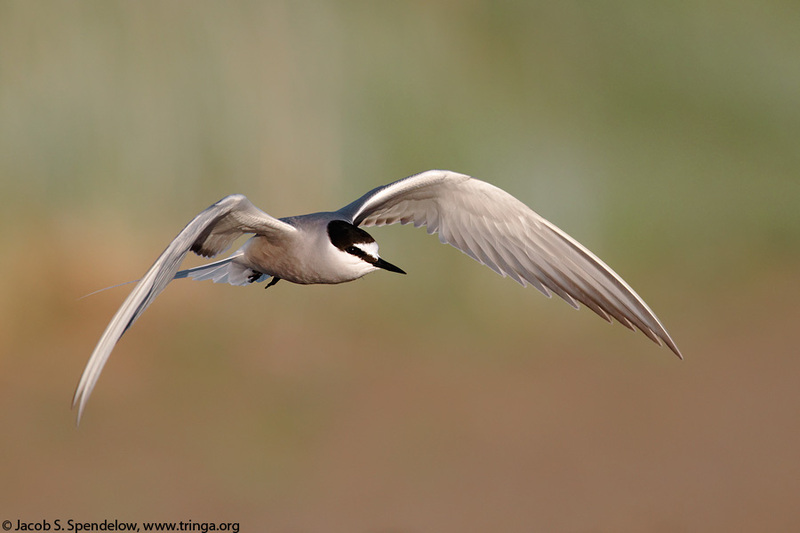 Aleutian Tern) to "very unlikely" (e.g. Bristle-thighed Curlew). After only a few days of photography I was thrilled to find that I'd already photographed all of my expected species, which took the pressure off and enabled me to spend the bulk of the trip continuing to improve on the easy species while also trying to track down the longshot species. My number one most wanted bird on this trip was that quintessential Seward Peninsula species, the Bluethroat. Bluethroats have a reputation for being difficult and uncooperative, and the conventional wisdom is that it is nearly impossible to photograph them outside a narrow window of time at the end of May and first week of June when they are actively singing. Work commitments prevented me from arriving in Nome until June 10, so I figured that my odds of getting a Bluethroat on this trip were slim. However, the very first Bluethroat I found on my first morning was singing repeatedly from the same perch, and looked like a great candidate for a photo. The weather that morning was awful, with heavy fog and drizzle, so photography wasn't really possible, but I took note of the location and decided to return later. The next morning was fogged in as well, but on my third morning I revisited the Bluethroat perch and found the bird still there, singing away. I set up a blind just uphill from his favorite copse of willows, and in no time I was getting better photos of this species than I had dared to dream possible. Though the male was much more prominent, I also noticed a female skulking down at the base of the willows, which makes me think that the birds were likely nesting in that little patch of shrubs. I returned to the same spot again the next morning, meeting up with Greg and Luis this time, and we all got tons of photos of this remarkably cooperative and photogenic bird. The same bird was still singing at least as late as June 17, long after all the other Bluethroats had virtually disappeared. I don't know why this Bluethroat behaved so differently from the norm, but I'm sure glad I was lucky enough to stumble upon him on that first rainy morning. 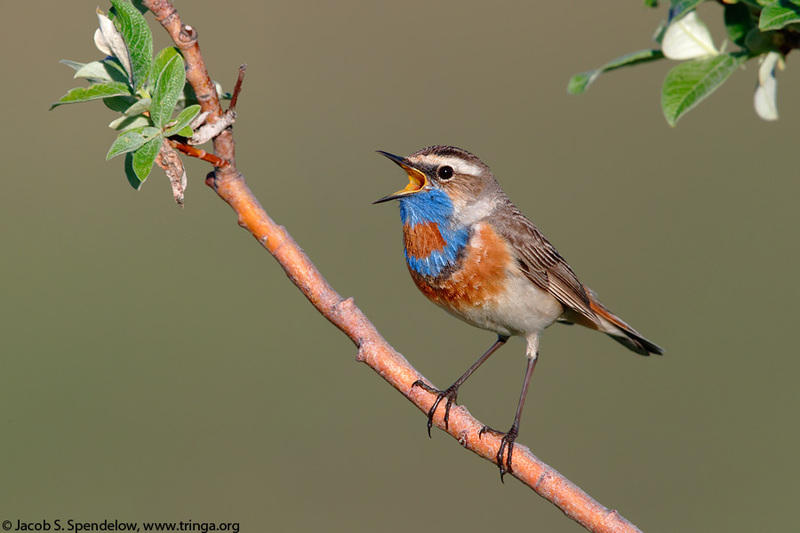 A male Bluethroat sings from a willow. This little songbird is one of a small number of Old World chats that cross over from Siberia to breed in Alaska. A female Bluethroat peers out from an opening at the base of a willow grove. One of the rarer but still somewhat regular Siberian crossovers is the White Wagtail. Several are reported on the Seward Peninsula every year, with the little village of Teller being perhaps the most reliable area. Early one morning when the Nome area was fogged in, Greg and Luis and I decided to make the long drive out to Teller to search for this little rarity, which had been reported recently near the spit. It didn't take long at all to find the birds, at least three of which were present, but getting close enough for good photos proved challenging. We eventually determined that the birds were likely nesting in a secluded spot right at the base of the spit, and after waiting for what seemed like an eternity while kneeling painfully on the gravel underneath a camo cloth, we were finally rewarded when one of the birds landed a short distance away and posed briefly for photos. Due to their low numbers and skittish behavior, I didn't expect to photograph White Wagtails on this trip, so getting a good photo of this bird on only my second morning in Alaska was a real thrill. 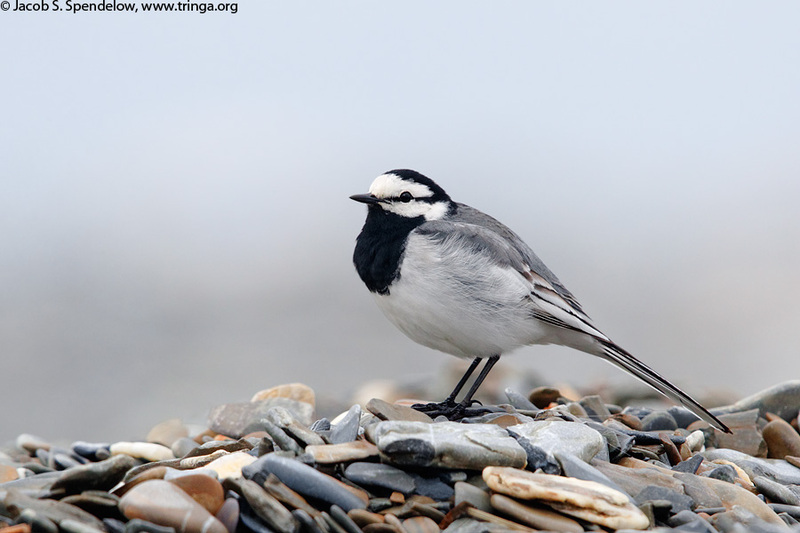 The White Wagtail, though primarily an Old World species, occasionally crosses over the Bering Strait to breed in small numbers on the Seward Peninsula. After dealing with rain and fog on my first few days on the Seward Peninsula, the weather improved markedly on my third day, and from that point on I enjoyed a week of mostly sunny weather. I usually spent my mornings working on songbirds, which are more active and vocal early in the day, while evenings were usually devoted to non-passerines. Primarily Old World songbirds such as Bluethroat, Arctic Warbler, and Eastern Yellow Wagtail were my main focus, but I also enjoyed opportunities to photograph more typical North American birds such as the dapper Wilson's Warbler. 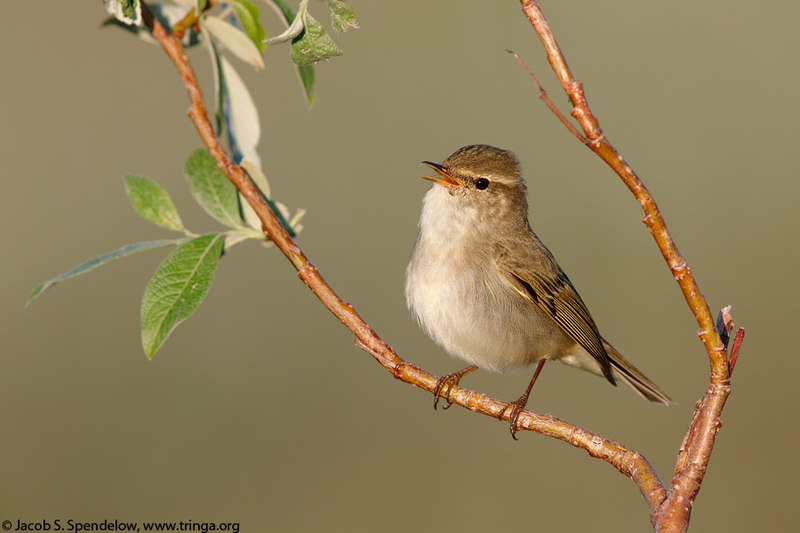 The Arctic Warbler is the only Old World Warbler to regularly breed in the New World. 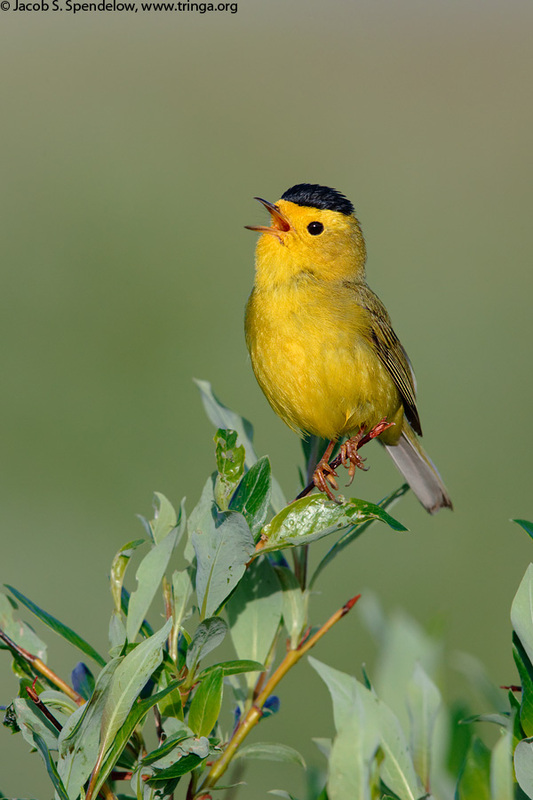 Wilson's Warblers breed in shrubby tundra areas, with a huge geographic range extending completely across the far northern reaches of the continent. This photo from the Seward Peninsula was taken near the westernmost point in North America, whereas my previous best photos of this species were taken near the easternmost point, in Newfoundland! Though mornings on the Seward Peninsula were fantastic, the evenings somehow ended up being even better. On one particularly memorable evening I started out photographing Pacific Golden-Plovers and other shorebirds on the tundra for a few hours beginning around 9pm, then headed out to visit a good spot for Long-tailed Jaeger. Along the way I made a detour to follow a Canada Goose that I saw walking out on the tundra, and much to my amazement, instead of flying away as I expected, the bird ended up walking right up onto a photogenic tundra mound and stood there calling for a minute or two. Continuing on to the jaeger spot, I got tons of good photos of the bird flying around and landing on top of tundra mounds, and stayed there photographing it till the sun dipped below a ridge. But there was still light on the other side of the ridge, so I jumped in my truck and hurried over to a Northern Wheatear nesting area that Greg and Luis has shown me, where I spent the last thirty minutes before sunset photographing both the male and female from my blind as they came and went from their nest. 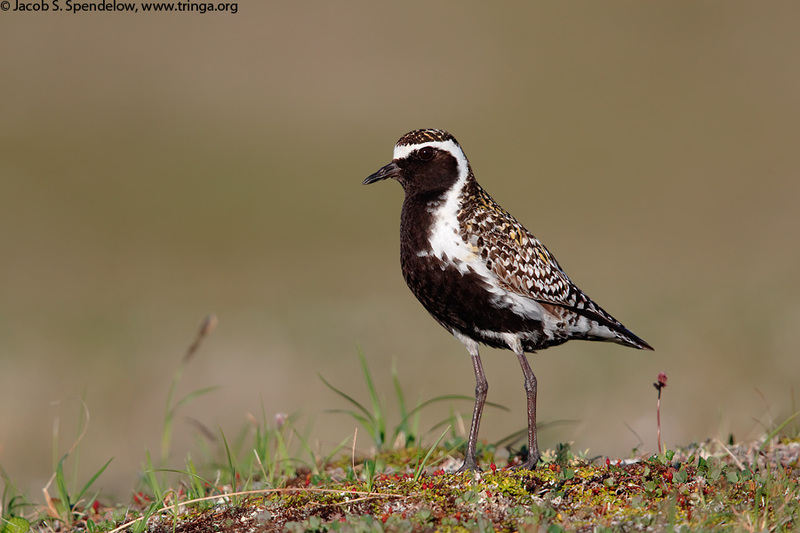 Pacific Golden-Plovers nest on the Seward Peninsula mostly in low tundra areas close to the coast. Though there is some overlap, the closely related American Golden-Plovers tend to nest at slightly higher elevations. The two species are easily distinguished by plumage, with the more extensive areas of white on the flanks and undertail of the Pacific Golden-Plover being the easiest way to tell the two apart. A Canada Goose calls from atop a tundra mound. 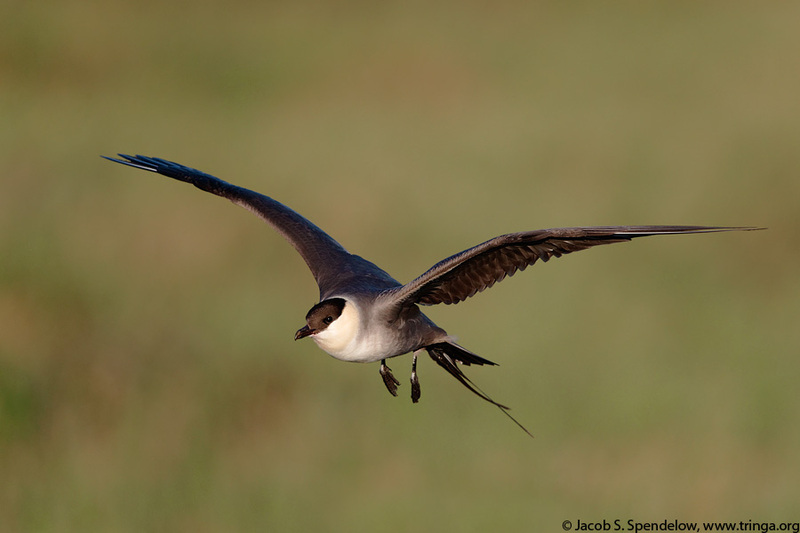 A Long-tailed Jaeger flies across the tundra of the Seward Peninsula. 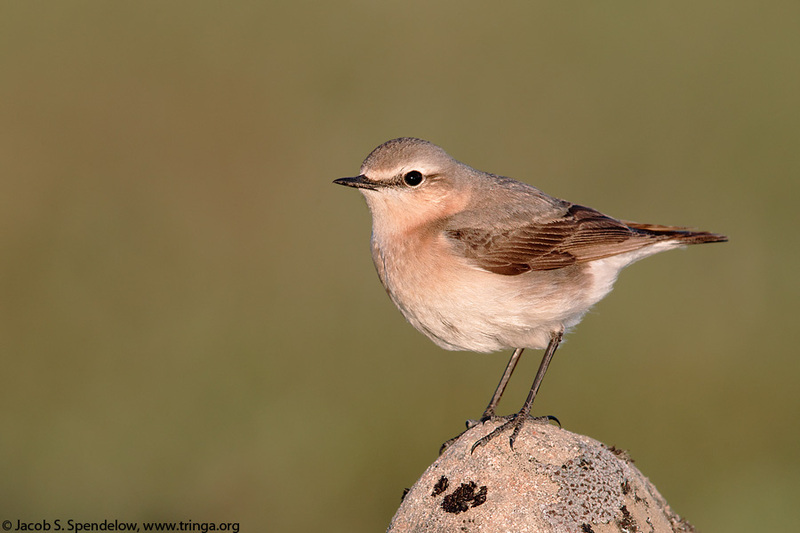 A female Northern Wheatear perches on a rock before hopping down to her nest. The Seward Peninsula is one of the best places in North America to view the raptors of the far north, and accessible nest sites for Golden Eagle and Gyrfalcon provided some great photo opportunities on this trip. The Golden Eagle nest was very easy to photograph, being situated on a ledge at eye level just off of a road. The Gyrfalcon nest took some more work, including a lengthy bushwhack through willows and a climb up a steep slope, but once up there, I was able to set up a camera with a remote trigger and get a few photos of the adult bringing in food for the chicks while I watched from my hiding place in the willows below. 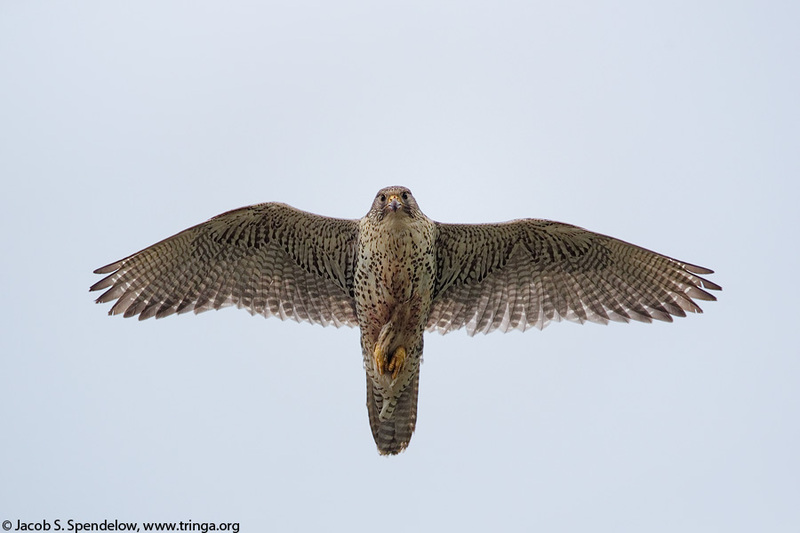 Getting close-up photos of this rare arctic falcon was a truly unforgettable experience. 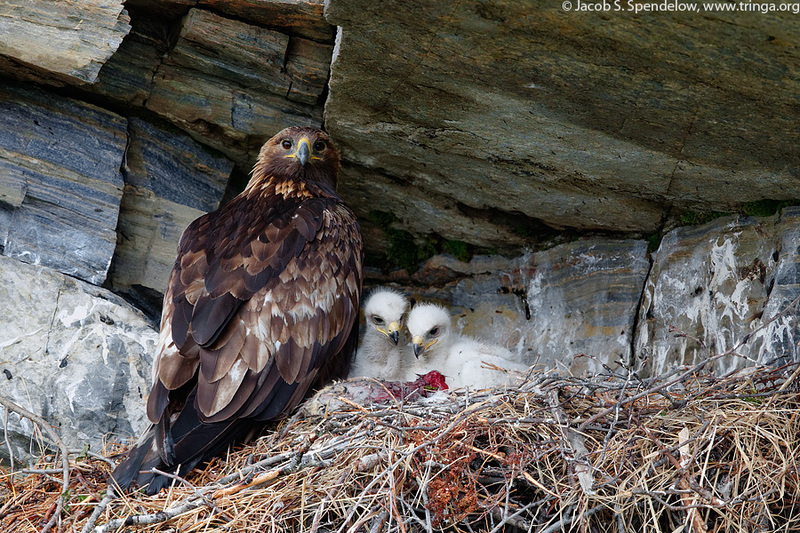 A pair of Golden Eagle chicks feast on a Snowshoe Hare while their parent looks on. One of the most sought-after species of the Seward Peninsula is the rare and enigmatic Bristle-thighed Curlew. Only one accessible breeding area is known in the area, near the "Coffee Dome" hill in the Kougarok Valley, and though most visitors are able to see one or more curlews, getting close enough for a photo is reported to be quite a challenge. Before this trip I'd heard many stories of photographers spending hours and days hiking all over the hill where the curlews breed without ever getting close to one of these skittish birds. I spent most of my trip working on easier species, and only went to try for the curlew, which I considered an extreme longshot, at the very end of my time on the Seward Peninsula. But just as with the Bluethroat, the first bird I found seemed to behave nothing like what I would have expected based on the conventional wisdom. Within half an hour of reaching the top of the hill, I heard the wildly whistled song of the Bristle-thighed Curlew and watched as a bird flew over, banking so that I could see the pale rump that distinguishes this species from the similar Whimbrel. The bird landed only a few hundred feet away, and with my normal careful approach on foot (no extreme belly crawls or anything like that), I was able to get within range and start getting nearly full frame photos within a few minutes. This experience was repeated twice more over the next two hours before the rain came in and I decided to head out. I don't think I did anything different from what any other photographer would have done, so I don't understand why my experience was so different, but getting good photos of this beautiful rarity was a great way to bring my time on the Seward Peninsula to a close. 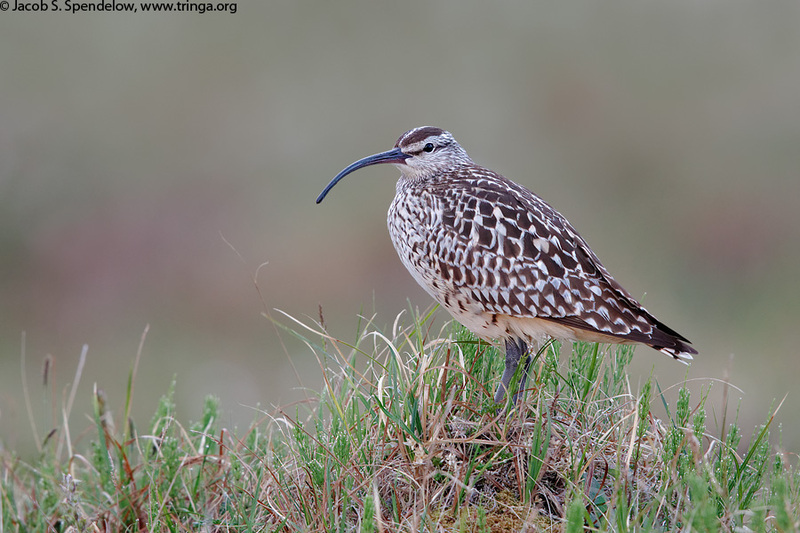 Only about 7,000 Bristle-thighed Curlews exist in the world, and they breed only in Western Alaska. The Seward Peninsula was incredible, and somehow managed to exceed my very high expectations, with gorgeous mountain and tundra scenery and countless birds. My time on the Seward Peninsula was unforgettable, and I now count this area near the top of my "favorite places to photograph" list. I really didn't want to leave, but I had booked my trip to allow a few days in the Alaska Interior so that I could search for Smith's Longspurs along the Denali Highway. And so I flew back to Anchorage, then left for the long drive to the Denali Highway, where I saw way more tourists than I remembered encountering on my previous visit, and also encountered some of the worst mosquitoes and black flies I've ever experienced. I did not, however, get to see any Smith's Longspurs, despite two full days of hiking the tundra in areas where they have historically nested. I still enjoyed myself, with some great photo ops with Horned Grebe, Blackpoll Warbler, and others, but if I could do the trip over again I would gladly have stayed longer on the Seward Peninsula and skipped the Denali Highway altogether. 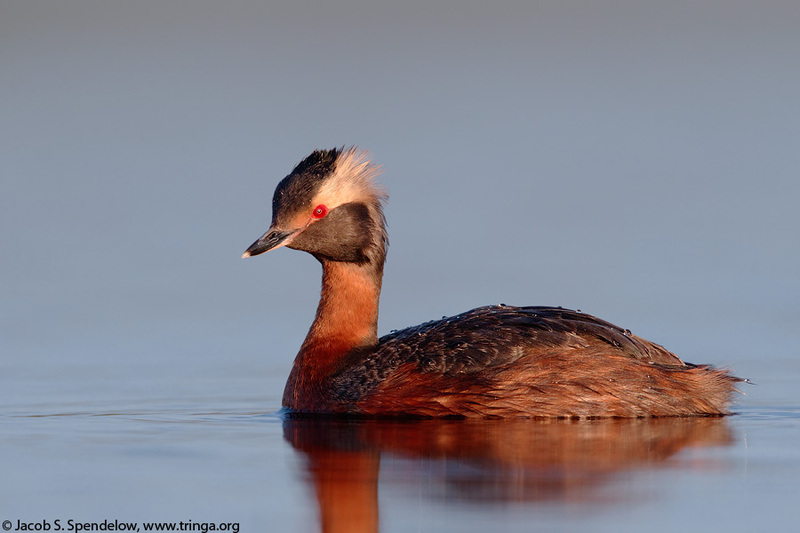 A Horned Grebe swims across a tundra pool at sunrise on the Denali Highway. 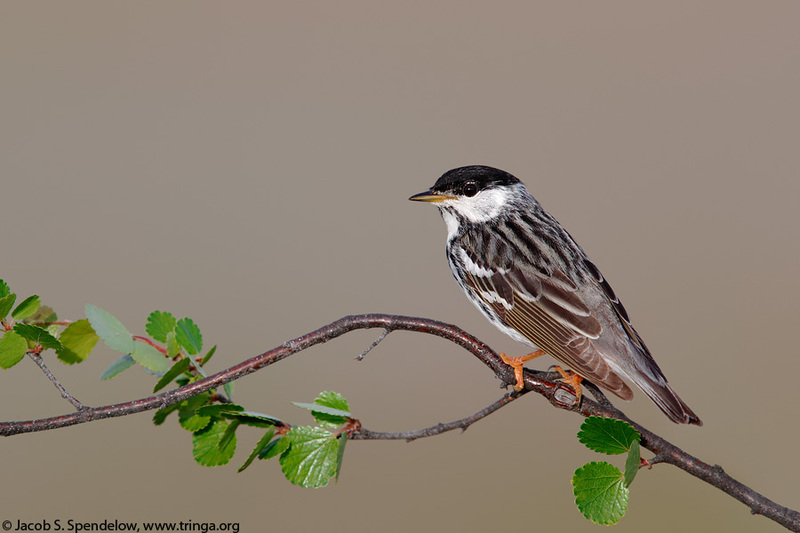 A Blackpoll Warbler on a Dwarf Birch branch. I'll end this post with a few more random photos from the Seward Peninsula. I can't wait to visit Alaska again. Hopefully it won't take another six years! An Aleutian Tern comes in for a landing at a breeding colony near Nome. 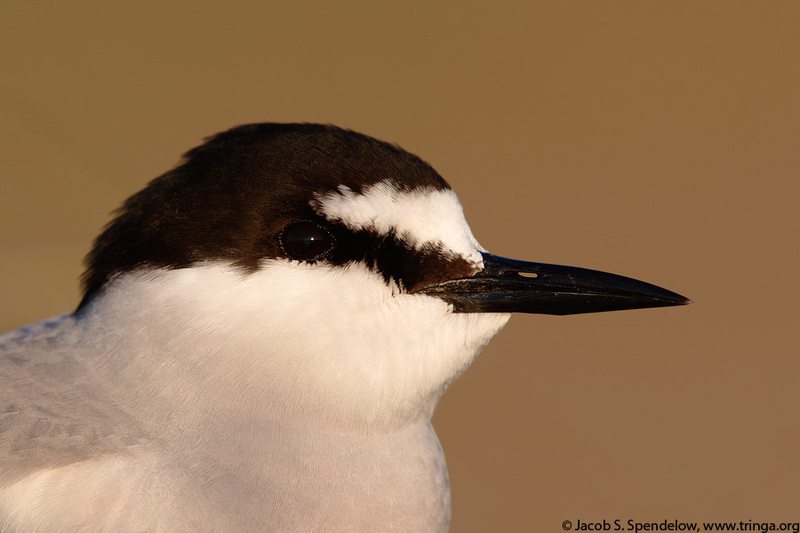 A slow and careful crawl across the beach allowed me to get some close-up portraits of this Aleutian Tern at sunset. 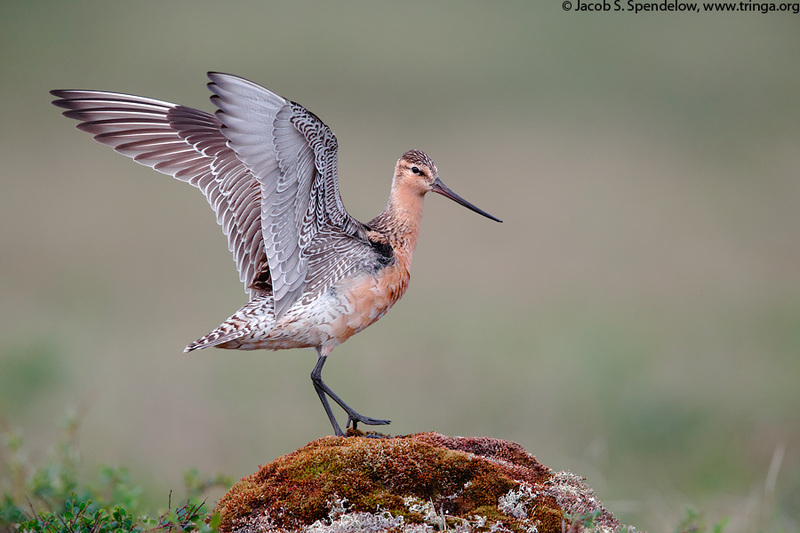 A Bar-tailed Godwit alights on a mossy tundra mound. 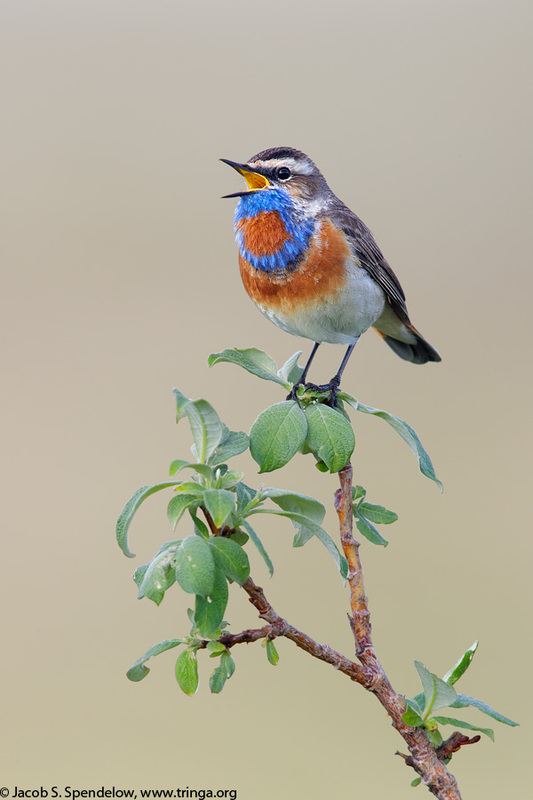 My little Bluethroat buddy belts out his song from his favorite willow patch. What a spectacular bird. The gallery posted today has all my photos from local springtime shooting, as well as a few photos from last winter that I hadn't got around to posting till now. 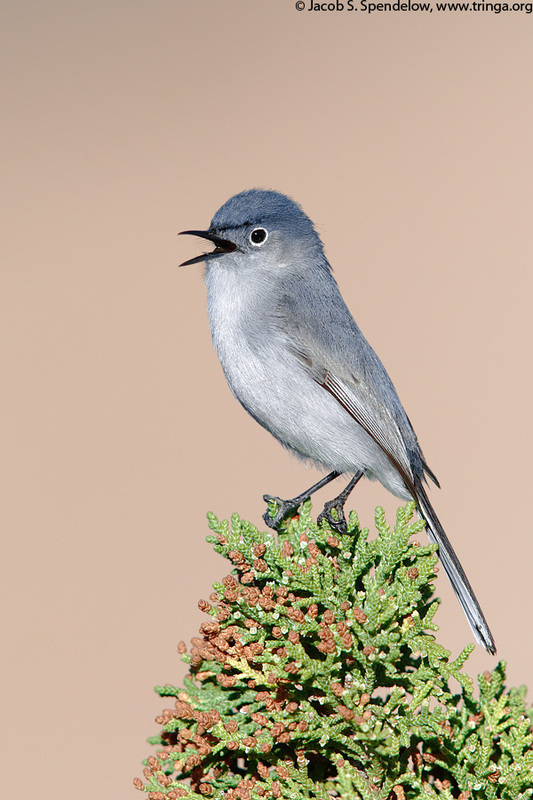 A Blue-gray Gnatcatcher calls from atop a juniper. 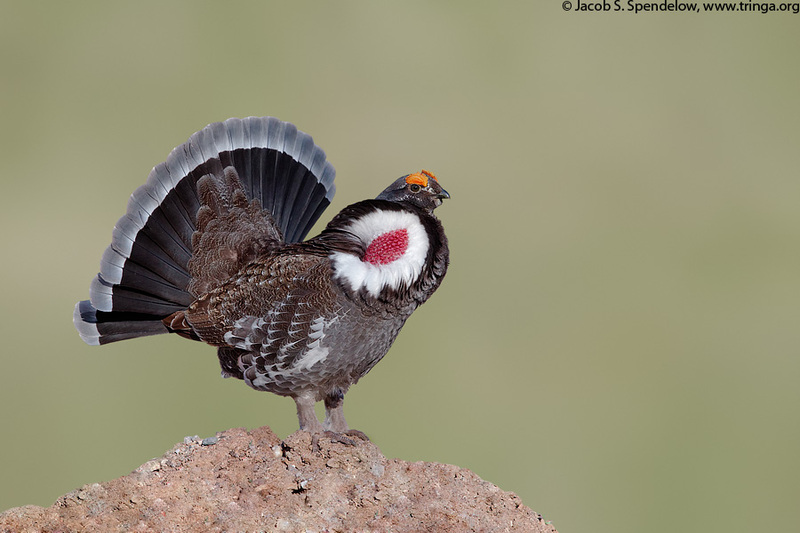 I started off in early spring looking for Dusky Grouse in the Jemez Mountains, and after a few early morning trips I found a nice male strutting at the edge of the parking lot for the local ski area. A male Dusky Grouse displaying on an April morning. The rest of the spring was mostly dedicated to songbirds. I didn't travel very much, mostly just doing local shooting in the Jemez before work, and though my subjects were all species I'd worked with before, I enjoyed the chance to improve on birds like Gray Flycatcher, Scott's Oriole, and Orange-crowned Warbler. I also got some nice photos of Red-winged Blackbirds in a cattail marsh. Despite being the most abundant bird in North America, I was never able to get any Red-winged Blackbird photos that I was happy with till this spring. 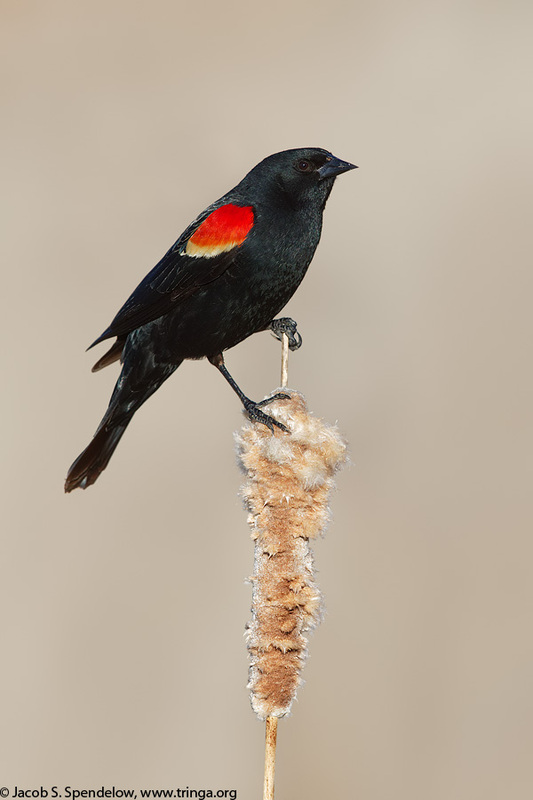 A Red-winged Blackbird atop a cattail in a Rio Grande Valley marsh. I also posted a single photo of the eclipsed sun from earlier this week. My parents and I left their home in Portland a little after 4am for a 3 hour drive to the east side of the Cascades, and though we had no problems getting to the zone of totality, we found that the viewing areas we'd picked out were covered by hazy smoke from wildfires. We spent most of the period from 7am-9:30am driving all over the highways and backroads of central Oregon looking for good viewing, and eventually found a fantastic spot with clear blue skies and panoramic views to both east and west so we could see the shadow. The eclipse was spectacular. My favorite part was during the last few seconds of totality when some confused Common Nighthawks woke up and started calling. I didn’t want to spend too much time fiddling with my camera during the totality, so I only picked it up long enough to fire off a few exposure bracketed photos, then went back to watching the eclipse. We had about 105 seconds of totality, which seemed like the shortest 105 seconds of my life. The solar eclipse of August 21, 2017. 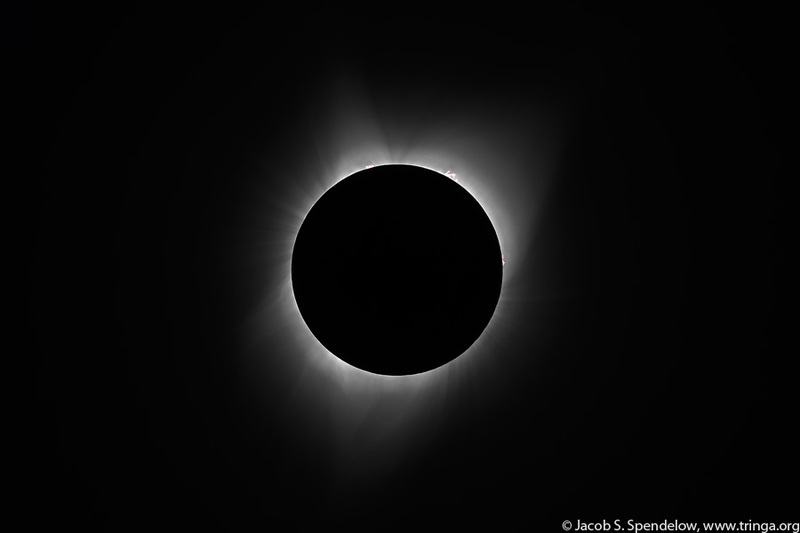 The corona is visible as a glow surrounding the eclipsed disk, while several solar prominences, which are explosions of superheated gases, are visible as well. The height of the largest solar prominence in this photo is about four times larger than the diameter of the earth! I stopped by the Upper Texas Coast for a short but very productive photo trip at the end of April, where I enjoyed three full days mostly devoted to shorebirds and waterbirds. The highlight of the trip for me was finally getting some photos of Fulvous Whistling-Duck, which I had missed on all my previous trips to the area. I also had some nice sessions with shorebirds on the beach, and with Black Skimmers in action over some sheltered lagoons. 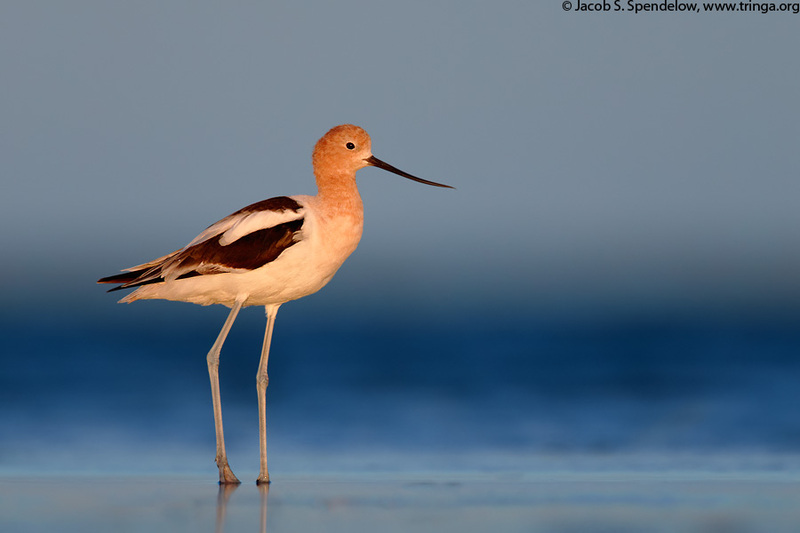 An American Avocet lit up by the sweet light of the setting sun. 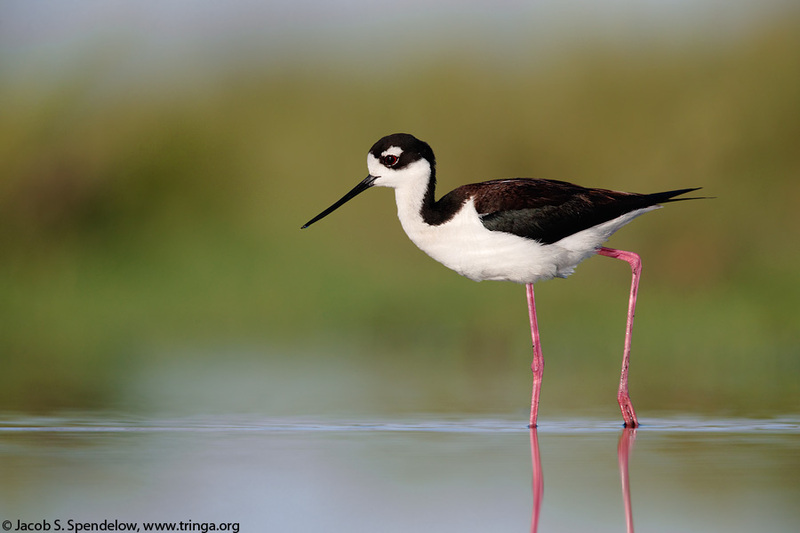 Black-necked Stilts like this one are usually found in freshwater ponds. The Upper Texas Coast has a nice mix of saltwater and freshwater shorebird habitat positioned along a major migratory flyway, making it arguably the best place in North America for spring shorebirding. 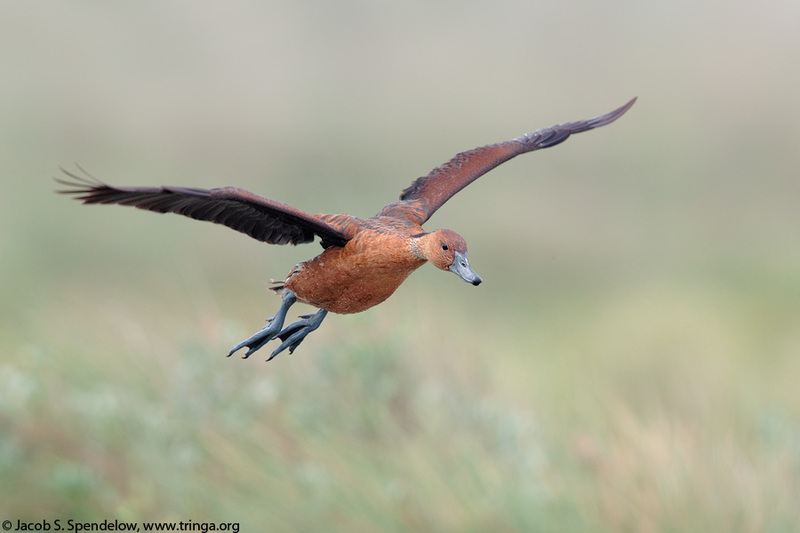 The Fulvous Whistling-Duck, like its black-bellied cousin, is a relatively new addition to the North American avifauna, having only colonized the southern United States in the mid-nineteenth century. Though these birds wander widely and unpredictably, they are fairly reliable on the gulf coast of Texas and Louisiana in springtime. I spent the first night of the trip camped out on the beach on Galveston Island, where a strong and steady wind off the gulf kept the air free from mosquitoes and helped lull me to sleep. I almost always camp out under the stars when I travel, which has led to a number of adventures and interesting experiences through the years, but this is the first time I can recall being awoken by a breaking wave. Though I was camped out above the normal high water mark, this was no normal night, and as I scrambled out of my sleeping bag in the pre-dawn twilight I saw that the intensifying wind had brought the ocean right up to edge of the beach. After beating a hasty retreat from the incoming water, I headed inland for the rest of the day, but when I returned to the coast in the afternoon I found highway 87 along the Bolivar Peninsula under water and huge waves breaking right over the highway barrier. The waters receded overnight, though, and left some shallow lagoons along the beach that quickly filled up with gulls, terns, skimmers, and shorebirds. These lagoons were wonderfully photogenic, and on the second day of my trip I enjoyed a perfect evening photographing Black Skimmers and other birds plying the shallow waters. 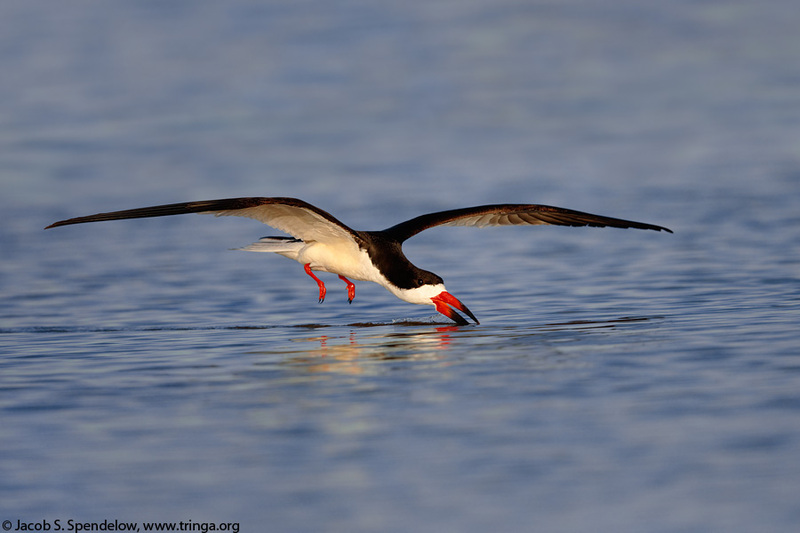 A Black Skimmer uses its elongated lower mandible to slice through the surface of a lagoon. The lightning-fast reflexes of this amazing bird enable it to snap its bill shut the moment it contacts a fish or other prey item. 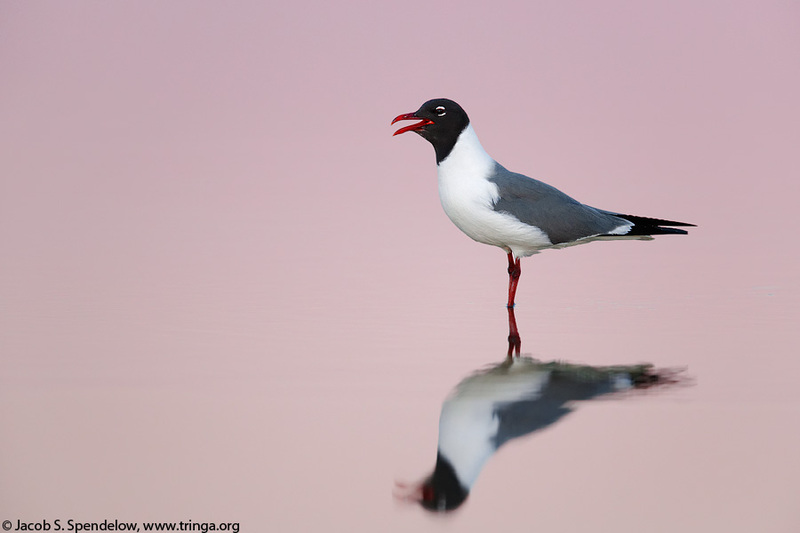 A Laughing Gull calls from a shallow lagoon, illuminated by the rosy-colored sky just minutes after sunset. I stopped by Rollover Pass late on my second night and drove my car out to the edge of the parking area to see whether there was any good shorebird habitat for the next morning's photo session. Much to my surprise, I saw a Roseate Spoonbill frozen in my headlights. As I got closer, I saw the reason the bird couldn't fly off - its bill was tangled up in discarded fishing line that was hooked onto a piece of driftwood. I grabbed my lens from the seat next to me and snapped a few quick shots using only the light from my headlights, then hurried out to free the tangled bird. Perhaps I should have taken the time to mount a flash and wide angle lens to better document the situation - the bird had obviously been there for hours, and a few more minutes wouldn't have made much of a difference I suppose - but all I could think about in the moment was getting the bird free. Fortunately, once I caught the bird and got it untangled, it was able to fly off with no apparent injuries. Not every bird is so lucky in this situation. Through my years of birding I have found many dead birds still tangled in fishing line or nets, including a dead Neotropic Cormorant just a few miles away the morning after this photo was taken. Discarded fishing gear can continue to kill for many years. 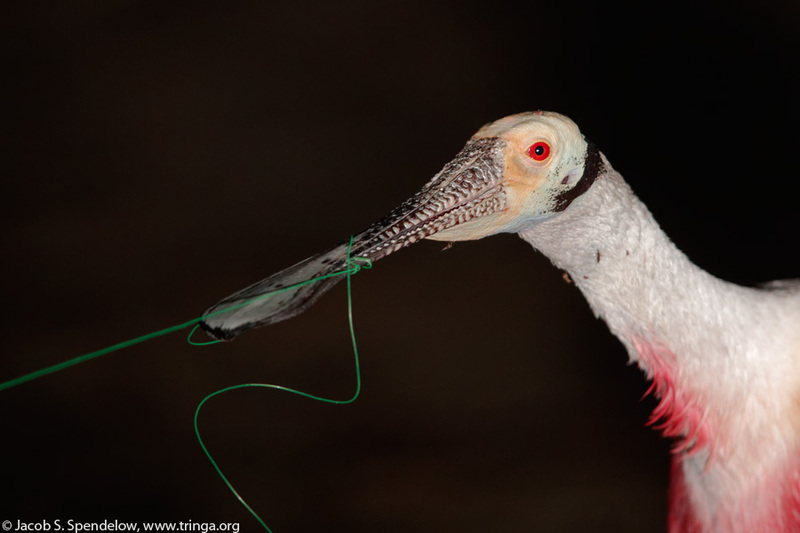 A Roseate Spoonbill tangled up in fishing line. After quickly snapping this photo I was able to catch the bird and cut it free. Most birds in this situation are not so lucky. Discarded fishing gear kills hundreds of thousands of birds every year. I still have a lot of photos to post before I'll be fully up to date again. Next up will be photos from local shooting around Northern New Mexico this spring. I traveled to Gunnison County, Colorado in mid-April of this year to photograph the rarest North American grouse, the Gunnison Sage-Grouse. I've been trying to find a way to access the highly protected lek sites of this species for several years now, and at times this seemed like an impossible task. But persistence paid off, and with a bit of help from friendly locals, I was finally able to get the photos I'd been hoping for. I now have photos of ten of the twelve grouse species found in North America, but those ten include all the most difficult species, and I don't anticipate having too much trouble photographing the remaining two (Ruffed and Sooty Grouse) as soon as I have a chance to spend some time in good habitat for those species. 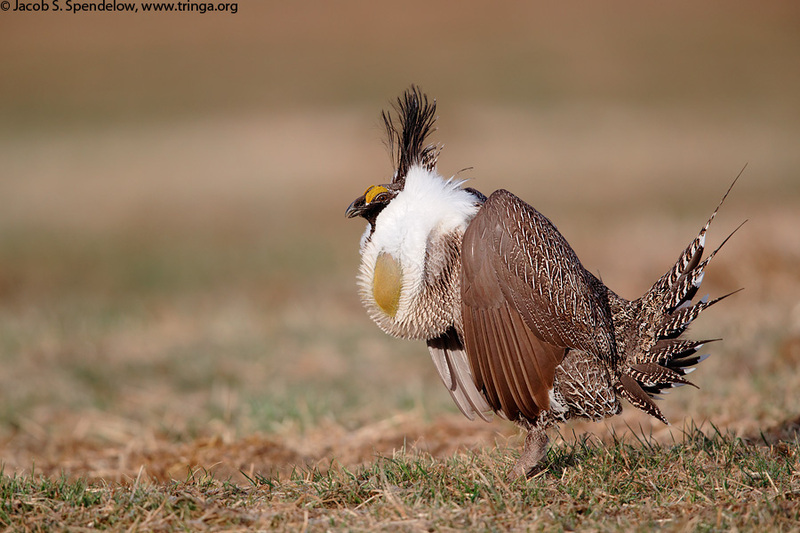 Despite being significantly smaller and exhibiting some plumage differences, the Gunnison Sage-Grouse was not recognized as a species separate from the more widespread Greater Sage-Grouse until 2000. Photos from two brief trips to California in March are now posted. Both trips were centered around the Bay Area, though I also went south along the coast as far as Monterey. Along the way I got some nice photos of raptors and falcons, and also had a few good sessions with waterfowl and shorebirds. 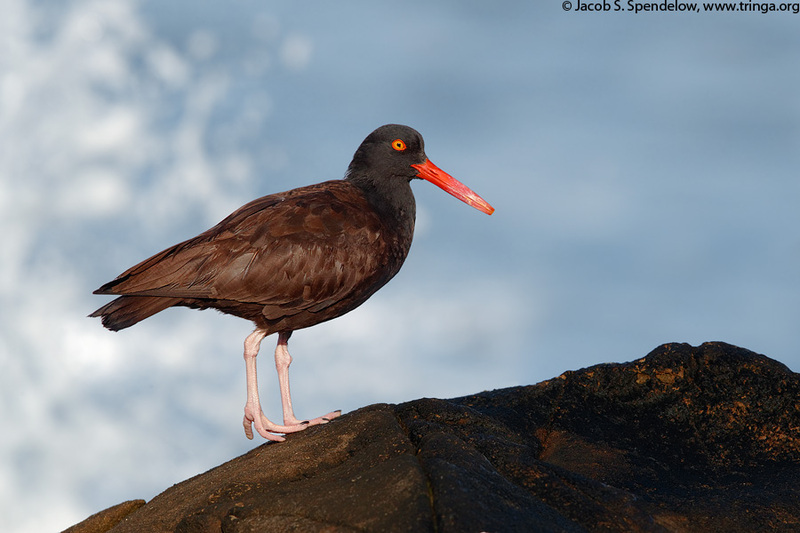 Waves crash behind a Black Oystercatcher on the California coast. I'm still working on getting my website updated after nearly a year of photography. Next up will be photos from a grouse trip to Colorado in April. About 71% of our planet is covered by water, but until recently I hadn't really seen what lies below the surface. I've been spending more and more time exploring the marine world since getting my scuba certification a couple years ago, though, and have also started doing some underwater photography. My first set of underwater photos, from a trip last fall to O'ahu, are now posted, and more photos from Florida and Bonaire will be coming whenever I find time to process them. 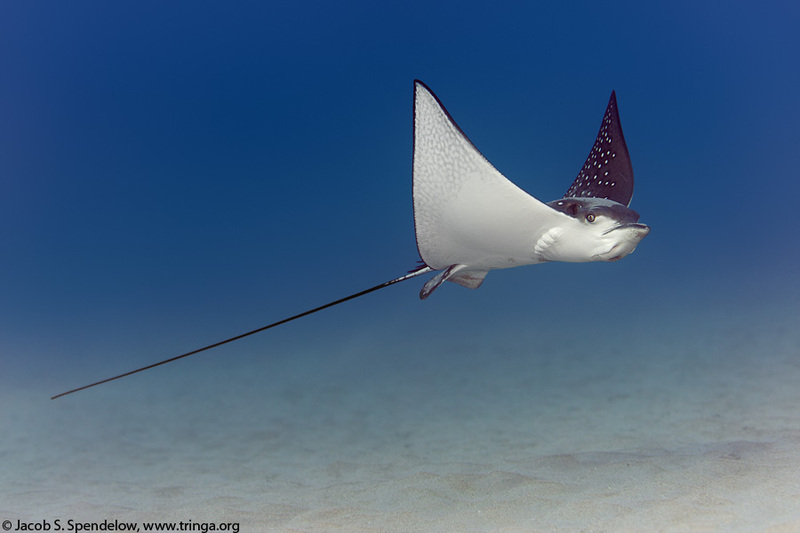 A Spotted Eagle Ray glides above the sandy ocean floor. Including the tail, these guys can reach lengths of up to 16 feet! The gear used for underwater photography is quite different from what I use for my normal bird photography, with much shorter focal lengths and no high speed flash. Learning how to create good images underwater has been challenging, but at least my subjects have been cooperative. For a photographer used to stalking wary birds and photographing from a distance with long telephoto lenses, it's almost unbelievable to swim right up to a fish and take photos from mere inches away. 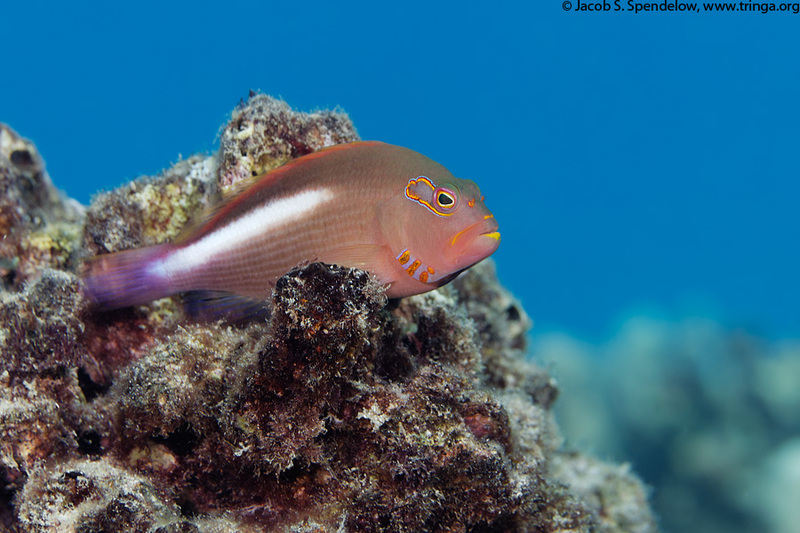 An Arc-Eye Hawkfish perches atop the reef, waiting for prey to swim by. So far my approach to composing underwater photos has been similar to photographing birds, since that's what I know best. Most serious underwater photography seems to take a different style, though, which in some ways is more akin to landscape photography, with less emphasis on telephoto portraits and more attention given to close-up wide-angle photos. Perhaps I will experiment more with different compositional styles in my future dive trips. 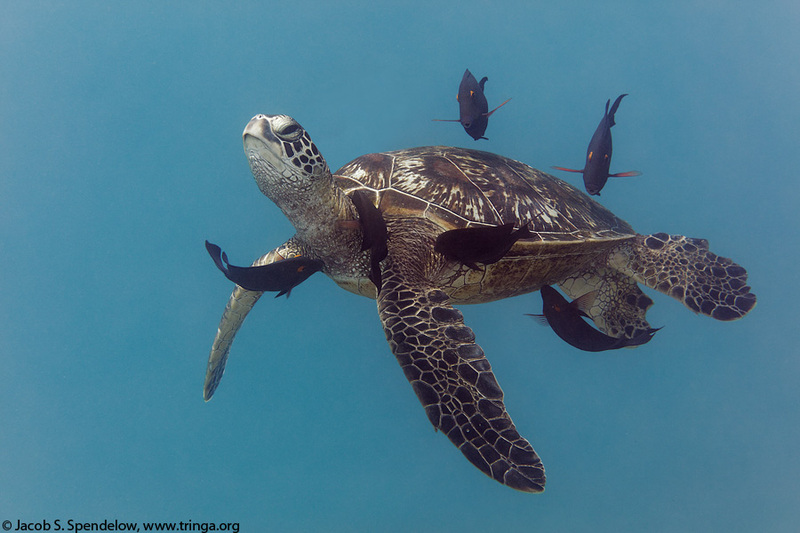 Green Sea Turtles habitually visit traditional "cleaning stations" where reef fish wait to eat algae that otherwise would collect and grow on the turtle's shell and flippers. Goldring Surgeonfish attend to a turtle in this photo. All photographs on this site are copyrighted, and may not be used for any purpose without written authorization.